The track storage, grounds shop and office on the first floor of the Track and Grounds Storage Facility will be renovated to house this women’s locker room for track and cross country. 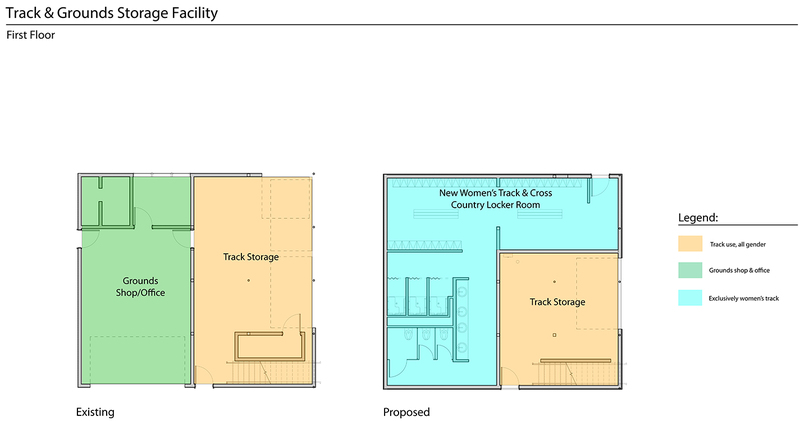 The track storage, grounds shop and office on the first floor of the Track and Grounds Storage Facility will be renovated to house a new women’s locker room for track and cross country. 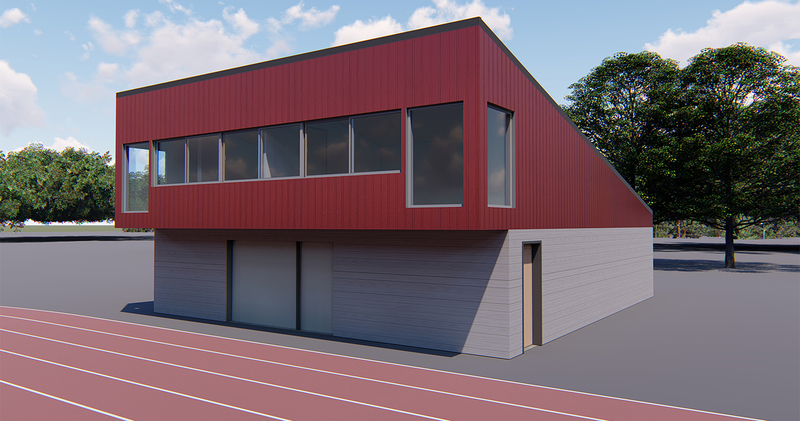 The renovated Track and Grounds Storage Facility will house a new women’s track and cross country locker room, while still housing track storage and the Track Timing Office. 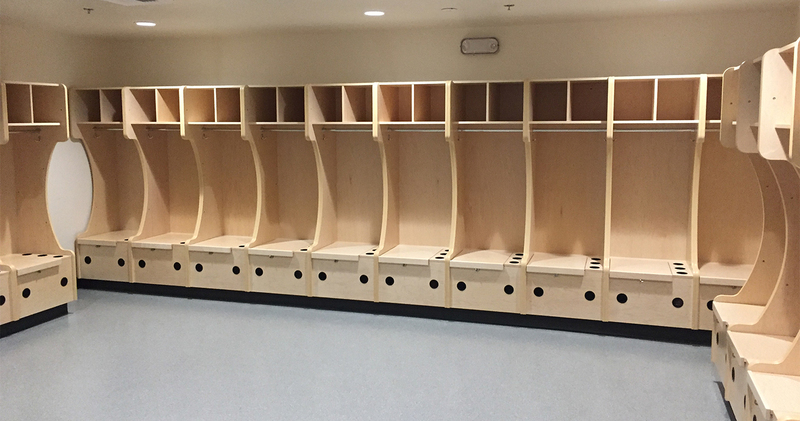 The new women’s lacrosse locker room has been completed in the lower level of the Sparks Center. 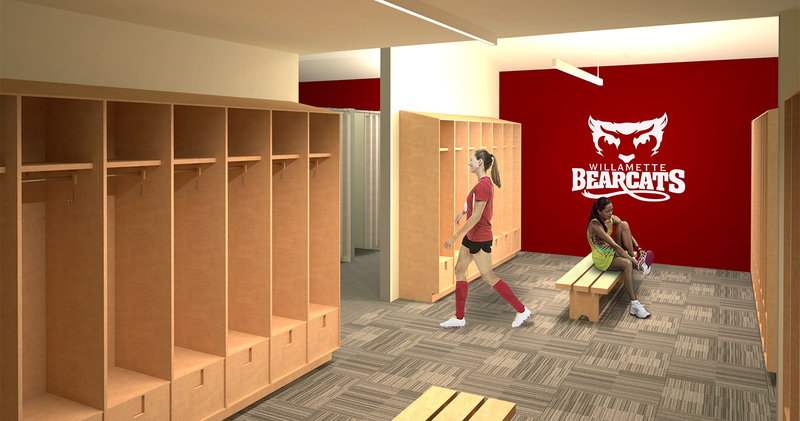 On the lower level of the Sparks Center, a women’s lacrosse locker room has replaced the old staff locker rooms. 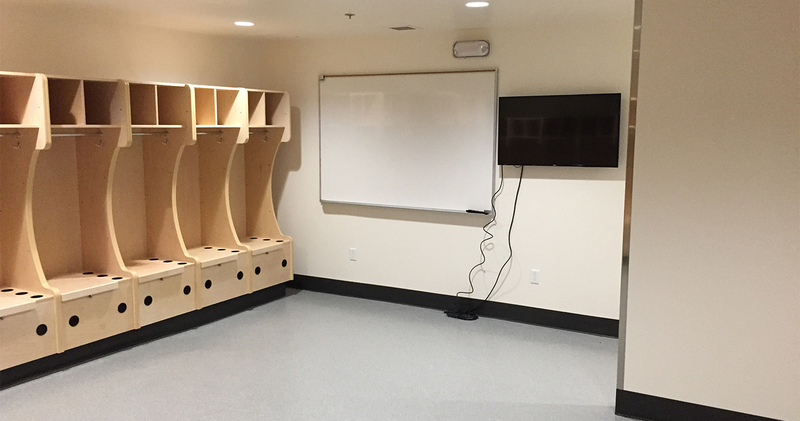 The staff locker rooms have been integrated into the general purpose locker rooms. 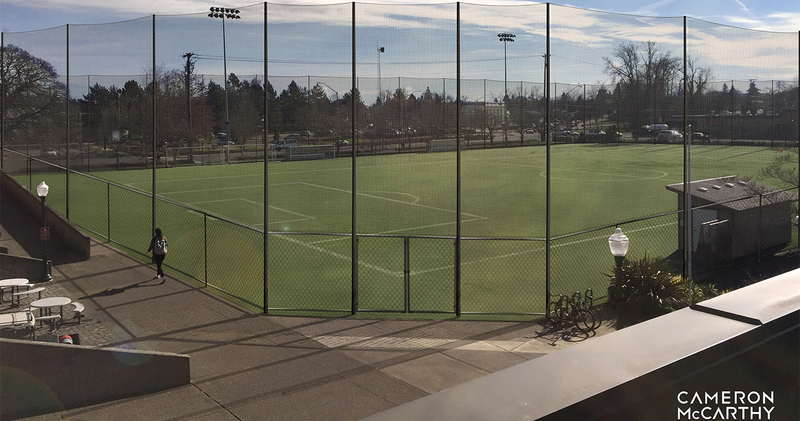 To increase safety on nearby streets, a tall netted fence will be erected around Sparks Field. 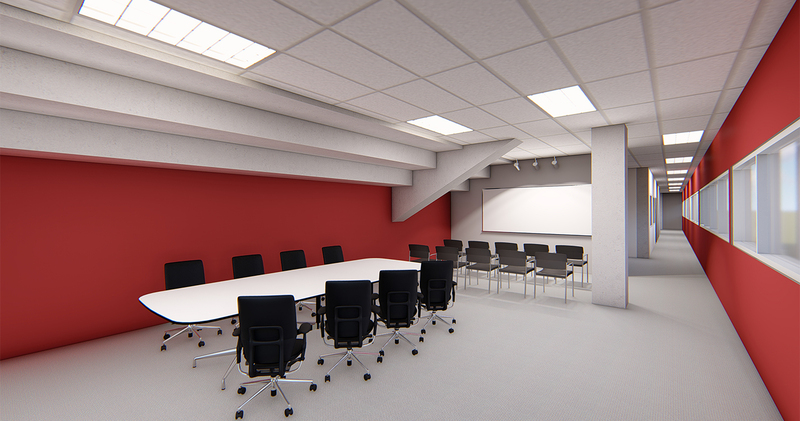 The second floor of McCulloch Stadium will be renovated to have meeting rooms usable by all sports. 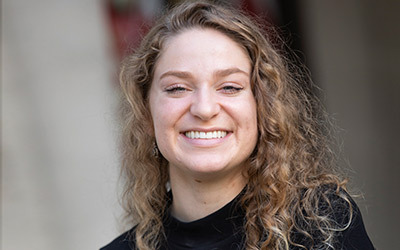 A number of Willamette University’s athletic facilities are undergoing renovation projects that will be completed by the end of the summer. 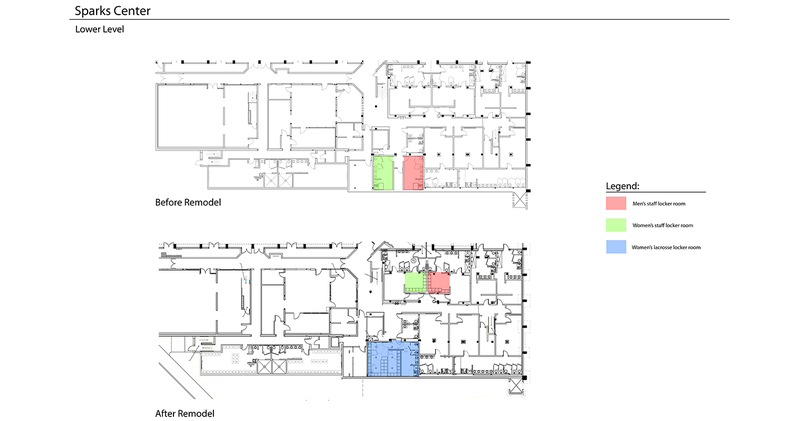 This slideshow of floor plans and digital renderings details the extent of the changes and improvements.